Madagascar’s long-awaited presidential election finally took place on 25 October. This was the first election since the ‘coup’ in March 2009, whereby President Marc Ravalomanana resigned, or was forced to resign depending on your interpretation of events, and his place was taken by Andry Rajoelina, who became the President of the High Transitional Authority. A new constitution was approved and promulgated in December 2010. The post-‘coup’ political process has been marked by ongoing negotiations between the three major players in the system – Rajoelina, Ravalomanana, who is in exile in South Africa and who has not been able to return safely to Madagascar, and Didier Ratsiraka, another former president. Various agreements have been reached at different times, only for them to collapse. For example, Ravalomanana announced that he would not stand as a candidate at any future presidential election and Rajoelina agreed. However, Ravalomanana’s wife was then put forward as a presidential candidate and Rajoelina decided that he too would stand. Finally, an agreed list of candidates did emerge and the election took place. The electoral process was relatively calm and international observers seemed relatively happy with the election. There were 33 presidential candidates. The full results are not yet available, but the top two candidates who will compete at the second round on 20 December do seem to have emerged. The third-placed candidate, according to the Electoral Commission’s figures, has only 9.4% of the vote. So, it does look likely that the second round will pit Robinson against Rajaonarimampianina (a nightmare name for Twitter). As the results are updated, for example here, the percentages do not seem to be shifting very much. Perhaps unsurprisingly, Robinson is the preferred candidate of former president Ravalomanana, whereas Rajaonarimampianina is Rajoelina’s preferred candidate. So, all is to play for, and anything could happen. Will Rajoelina allow a Ravalomanana candidate to win? Will he be able to stop it? How will those who voted for the eliminated candidates vote at the second round? Given parliamentary elections were held on the same day, what will be the make up of the new parliament? These and many other questions remain unanswered, even though Madagascar’s long transition process has taken a big step forward. This entry was posted in Africa, Madagascar and tagged Africa, election, Madagascar, Semi-presidential system on October 31, 2013 by Robert Elgie. On Sunday, October 27th, Argentina went to the polls for mid-term legislative elections in order to elect 24 senators and 127 lower house deputies. Provisional results from the Dirección Nacional Electoral indicate that Cristina Fernández de Kirchner’s Frente Para la Victoria (FpV) wing of the Peronists won 33.15 per cent of the vote, while the Unión Cívica Radical (UCR) won 21.38 per cent, and Sergio Massa’s Frente Renovador (FR) won 17 per cent. This election result provides a reasonably clear indication that the political heyday of both Cristina Fernández and the FpV is over. Amid health problems, which prevented Cristina Fernández actively campaigning for her party, this election occurred against the backdrop of widespread discontent with crime, crumbling infrastructure in the capital of Buenos Aires epitomized by a train crash two weeks ago that left 99 people injured, and inflation of approximately 28 per cent. The FpV are left with 132 seats (of 247) in the lower house, and 40 seats (of 72) in the senate, thereby granting the party a majority in both houses. However, this majority is far less than the two thirds that Cristina Fernández would need in order to change the constitution to allow her to run for a third term. More importantly, the big winner was Sergio Massa, the former cabinet chief of the Kirchner administration. His Peronist-based party, Frente Renovador, won 19 seats (16 of which were in Buenos Aires), but Massa personally beat Kirchner’s hand picked candidate, Martín Insaurralde, in the electoral district of Buenos Aires. Although presidential elections are still two years away, Massa is already being touted as a serious contender for the presidency. Of course two years is a long-time, and Massa needs to decide whether he will remain within the Peronist architecture. Following the crisis of 2001/2002, the party system suffered a partial collapse, and while the Peronist Partido Justicialista (PJ) remained dominant, they split into a number of factions. Traditionally, peripheral party bosses, such as Carlos Menem or Néstor Kichner (the late husband of Cristina Fernández), when they became increasingly likely to gain the presidency, were able to solidify support for their factions amongst bandwagoning party members as a consequence of the lack of internal PJ rules and secure tenure patterns. This is a possibility for Massa, but in the interim, he needs to deal with a recalcitrant FpV, angry international creditors, rising prices, and attacks from the right. It suggests more uncertainty for Argentina in the short run. Levitsky, Steven. 2003. Transforming Labor-Based Parties in Latin America: Argentine Peronism in Comparative Perspective. Cambridge: Cambridge University Press. This entry was posted in Latin America and tagged Argentina, Cristina Fernández, elections, FpV, legislative on October 30, 2013 by David Doyle. Georgia held its presidential election on Sunday. President Mikheil Saakashvili of the United National Movement was term limited. So, there would be a new incumbent. In the end, the candidate of the governing Georgian Dream coalition was easily victorious. There were 18 other candidates. None won more than 1%. The turnout was very low at just 46.96%. So, Giorgi Margvelashvili’s election will mark an end to the rather bitter period of cohabitation between President Saakashvili and PM Bidzina Ivanishvili, whose Georgian Dream coalition came to power after the October 2012 parliamentary election. The next period is likely to be interesting in two ways. First, a sweeping set of constitutional reforms are due to come into effect once the new president assumes office. These changes shift the power in the system from the president to the PM and government. That said, they do not leave the president totally powerless. So, there is the potential for conflict between the president and the PM even outside cohabitation. Second, PM Ivanishvili has declared that he will step down as head of government and return to his business interests. There is no date yet fixed. He has hinted that he will resign at some point following the presidential election until spring 2014. If he does step down, then it will really test the political system. How will the new incumbents of both of the top executive positions work with each other? Will Ivanishvili have a behind-the-scenes influence, given the new president and PM owe their political success to him? In short, even if the result of the presidential ends a period of cohabitation, it could presage a more destabilising period of political competition in the near future. There are a couple of nice retrospectives on President Saakashvili’s presidency here and here. This entry was posted in Caucasus, Georgia on October 29, 2013 by Robert Elgie. On 25-26 October 2013 the Czech Republic held early elections to the lower chamber of parliament. Prime Minister Petr Nečas had resigned in June after his chief of staff had been arrested in the wake of a raid against organised crime. President Zeman then nominated Jiří Rusnok as Prime Minister who subsequently failed to win a vote of confidence in parliament and resigned shortly after. Parliament passed a motion for self-dissolution and Zeman called snap elections on 28 August. The elections brought great losses for the Civic Democrats (-37 seats) and TOP 09 (-15 seats) who had previously formed a coalition government under Petr Nečas. The third former coalition party, Public Affairs, did not compete in the elections yet several of its members ran for the new ‘Dawn of Democracy’ movement. The Social Democrats also lost seats (-6 seats) yet still managed to win a relative majority of votes. The clear election winner is the new formation ANO 2011, founded and funded by millionaire Andrej Babiš. The Christian and Democratic Union re-entered parliament after a three-year absence; the party of president Miloš Zeman (SPOZ – Parties of Civic Rights – Zemanites) only received 1.51 % and will thus not be represented in parliament. The election results will not make it easy to build a stable government. Furthermore, both the Dawn Movement and the ANO 2011 party have already declared that they will not participate in any government coalition, yet the latter has declared support for a minority government if it excludes TOP09, ODS and the Communists. In the current situation a minority government of the Social Democrats appears to be the most plausible option as it is likely to be supported by both ANO 2011 and deputies of the Communist party. Nevertheless, the unknown in this equation is the role of president Zeman. His unilateral appointment of Jiří Rusnok as Prime Minister highlighted not only his own inclination to presidential activism. It also showed weaknesses of the Czech constitution which gives the president free choice in appointing a prime minister but does not specify a period in which a new candidate has to be appointed if the previous candidate fails to win a vote of confidence in parliament. This entry was posted in Czech Republic, Europe and tagged Czech Republic, government formation, parliamentary elections on October 28, 2013 by Philipp Köker. Jae-Jae Spoon and Karleen Jones West, ‘Alone or together? How institutions affect party entry in presidential elections in Europe and South America’, Party Politics Published online before print February 18, 2013, doi: 10.1177/1354068812473870. Allen Hicken and Heather Stoll, ‘Are All Presidents Created Equal? Presidential Powers and the Shadow of Presidential Elections’, Comparative Political Studies, March 2013 vol. 46 no. 3 291-319. Heather Stoll, ‘Presidential coattails: A closer look’, Published online before print June 7, 2013, doi: 10.1177/1354068813487102. Shaun N. Williams-Wyche, ‘An empirical test of presidentialism’s effect on party competition’, Electoral Studies, http://dx.doi.org/10.1016/j.electstud.2013.07.009. Jae Hyeok Shin, ‘Cabinet Duration in Presidential Democracies’, Political Science Quarterly, Volume 128, Issue 2, pages 317–339, Summer 2013. Yuko Kasuya (ed. ), Presidents, Assemblies and Policy-making in Asia, Palgrave Macmillan, 2013. Laura Tedesco and Rut Diamint, ‘Latin American Democracy. What to Do with the Leaders?’, Bulletin of Latin American Research, Article first published online: 4 JUN 2013, DOI: 10.1111/blar.12070. Young Hun Kim, ‘Impeachment and presidential politics in new democracies’, Democratization, DOI:10.1080/13510347.2012.751973. Leiv Marsteintredet, ‘Explaining variation of executive instability in presidential regimes: Presidential interruptions in Latin America’, International Political Science Review, Published online before print January 7, 2013, doi: 10.1177/0192512112459548. Leiv Marsteintredet, Mariana Llanos, and Detlef Nolte, ‘Paraguay and The Politics of impeachment’, Journal of Democracy, October 2013, Volume 24, Number 4, pp. 110-123. Barry Levitt, Power in the balance: Presidents, parties and legislatures in Peru, University of Notre Dame Press, 2013. Taeko Hiroi. “Governability and Accountability in Brazil: Dilemma of Coalitional Presidentialism” The Journal of Social Science 75 (2013): 39-59. Stephen Chan, ‘Presidentialism and Vice Presidentialism in a Commonwealth Country: A Cameo in Zambia’, The Round Table: The Commonwealth Journal of International Affairs, Volume 102, Issue 5, 2013, pp. 431-444. This entry was posted in New publications on October 25, 2013 by Robert Elgie. On 16 April 2012 Taur Matan Ruak, former commander of the Timorese Defence Forces, won the second-round presidential elections with 61.2 per cent of the votes to Francisco ‘Lu Olo’ Guterres’ of the FRETILIN party who garnered 38.8 per cent. Ruak had the decisive advantage of support from Prime Minister Xanana Gusmao’s National Congress for the Reconstruction of Timor (CNRT) party. Taur Matan Ruak replaced outgoing President José Ramos-Horta, who trailed in third place in the first round of voting on 17 March. In the July 2012 parliamentary elections the CNRT party received the highest percentage share of the votes. Prime Minister Gusmão then formed a majority coalition with the Democratic Party (PD) and Frenti-Mudansa. In his election campaign, the former General vowed to introduce mandatory military service. FRETILIN, one of the largest political parties in Timor-Leste, expressed concern that President Ruak has too much of a military orientation. The Constitution of Timor-Leste states the President is elected for a five-year term and can be re-elected only once. It defines the President as the symbol and guarantor of national independence and the Supreme Commander of the Defence Force. To fulfil this mandate, the President is endowed with certain unilateral powers, such as the power to veto legislation or appoint military officials. These acts do not need the approval of either the Prime Minister and/or the legislature. Notably, the Constitution encourages the Prime Minister and the President to share power, specifically, but not exclusively over defence and foreign affairs. Political decisions that may compromise national security thus need to be taken by mutual agreement. Perhaps not surprisingly, these presidential prerogatives have led to a tug-of-war between former President Xanana Gusmão and his political rival Marí Alkatiri of FRETILIN during cohabitation. When in May 2006 the country was on the brink of a civil war, both leaders were embroiled in a shouting match who was in control over the armed forces and whether or not to call in international forces to restore peace in the country. Yet, Timor-Leste’s political landscape has changed and President Taur Matan Ruak is a political ally of Prime Minister Gusmão. For one, the party of the Prime Minister, the CNRT, supported his presidential campaign, although Ruak decided to run as an independent. The President and Prime Minister both belong to “liberation-generation” politicians who spent most of their lives in the jungle fighting an independence war against Indonesian occupation. The biggest challenge to President Taur Matan Ruak will be to watch over the Government’s use of the Petroleum Fund worth some $13.6 billion. Despite the oil riches, 37.4 per cent of the population still lives under the international poverty line of less than $1.25 per day. The International Crisis Group has described Timor-Leste as “an impoverished country with a very large bank account”. President Taur Matan Ruak showed his determination to tackle economic deprivation when he criticised the former Government (which is essentially the same as the actual Government) for its failure, despite the influx of oil revenues, to deliver on essential infrastructure and social programs. Political alliances are not ever lasting in this new democracy. According to insiders, former President José Ramos-Horta lost the backing of the CNRT during his presidential campaign precisely because of his growing criticism of the Government. It is yet to be seen if the close relationship between the President and the Prime Minister can withstand political pressure. This entry was posted in Asia, Timor-Leste on October 24, 2013 by Lydia Beuman. President Mahamadou Issoufou’s legislative majority has eroded, paradoxically following a cabinet reshuffle aimed at strengthening the government and internal stability in the face of regional security threats. How did this happen? When Issoufou of the Niger Party for Democracy and Socialism (PNDS) was elected president in 2011, he won the backing of a solid 83-seat majority in concurrent polls for the 113-seat National Assembly. In the five-party ruling coalition, the PNDS controlled 37 seats and its largest ally, the Nigerien Democratic Movement (MODEN Lumana), 25 seats. Three smaller parties made up the remainder. The president of Lumana, Hama Amadou, was elected speaker of the National Assembly. In August, 2013, Issoufou reshuffled his cabinet to form a government of ‘national unity’ with the participation of major figures from the largest opposition party, the National Movement for the Development Society (MNSD). The president’s declared intent was to strengthen internal political stability and to bolster regional security, following terrorist attacks in the northern part of Niger in May. Claiming he had not been properly consulted, Hama Amadou withdrew his party from the government and joined the MNSD and the Democratic Social Convention (CDS) in the opposition, to form a new alliance (the Alliance for Reconciliation, Democracy and the Republic – ARDR). The MNSD leadership has disavowed its members who have joined the government, without excluding them from the party, however. Together, Lumana, the MNSD and the CDS along with a small fourth party muster 55 seats, two seats short of a majority; and Issoufou is now in the uncomfortable position where the number two position in the hierarchy of the state – the presidency of the National Assembly – is occupied by a leader of the opposition. To end the uncertainty caused by the changing political alliances, Issoufou could ask his government to initiate a vote of confidence in the National Assembly, to clarify the current legislative backing of the government. The wild cards are the support from the remaining, smaller parties of the ruling coalition and the extent to which MNSD deputies would vote en bloc – or whether some have shifted alliance to the government. Should the confidence vote fail or, conversely, should the opposition initiate and win a vote of no-confidence in the government, the prime minister and his cabinet would have to step down. Niger could then be headed towards a period of cohabitation – a situation where executive power is shared between a president and a prime minister from opposing political parties. Under Niger’s semi-presidential system (modeled after the 1958 French constitution), the prime minister is accountable to the legislature. If President Issoufou loses the backing of the National Assembly, he could be forced to appoint a new prime minister who has the support of the new majority. Alternatively, Issoufou could choose to dissolve the legislature and call for fresh elections, but with the risk of losing the majority again. Niger experienced a turbulent cohabitation period in 1995-96 – which paved the way for the January 1996 coup d’état by General Baré. Many of the political leaders from that time are the same facing off today. Hopefully the lessons learned from that experience still stick. The November plenary debates during the legislative budget session will be a telling test of the government’s continued support in the National Assembly. This entry was posted in Africa, Niger and tagged Cohabitation, Mahamadou Issofou, Niger, Semi-presidential system on October 23, 2013 by Sophia Moestrup. The re-run of September’s presidential election in The Maldives was cancelled at the weekend. The election has a troubled history. In 2008 Mohamed Nasheed was elected president in a poll that led Freedom House to classify the country as en Electoral Democracy. However, in February 2012 he resigned following opposition protests and amid claims that he was forced to stand down in a de facto coup. His Vice-President, Mohammed Waheed Hassan, assumed the presidency. Presidential elections were organised for September 2013. Former president, Mohamed Nasheed, topped the poll with 45.5% of the vote. Abdulla Yameen of the Progressive Party of Maldives came second. Vice-President Mohammed Waheed gained only 5% of the vote. However, the second-round run-off was then cancelled by the Supreme Court. Instead, the first round was ordered to be run again on 19 October. The same candidates were standing again. On Saturday morning, amid controversy over electoral registration among other things, the re-run of the first was cancelled just before it was due to start. The police stepped in and prevented the poll from going ahead. There is pressure from international organisations to hold the poll. Yesterday, the Electoral Commission is stating that the first round re-run will take place on 9 November. This entry was posted in Asia, The Maldives on October 22, 2013 by Robert Elgie. Indonesia – To Decree or Not to Decree? President Susilo Bambang Yudhoyono’s Perppu (presidential decree, or regulation in lieu of law in Indonesia) to address the issue of one of Indonesia’s highest institutions – the Constitutional Court – being hit by the nation’s most-entrenched problem – corruption – may alleviate the poignancy of the latest corruption scandal. The anticorruption watchdog, Komisi Peberantasan Korupsi (KPK), is formally investigating Akil Mochtar, now-suspended chief justice of the constitutional court, for accepting bribes to rule in favour of a losing candidate in the district chief elections in Lebak, Banten. In Indonesia, a Perppu is a government regulation issued under an emergency that carries the weight of the law until the House of Representatives rejects it or votes to support it. The Perppu may restore the Constitutional Court or, at the least, ensure that a phoenix rises out of its ashes. It also raises the question (over which there is already some debate): is it necessary to light the fire in the first place? That is, does the corruption scandal in the Constitutional Court warrant the Perppu? More generally, under what conditions are presidential decrees useful? For Indonesia, the answer depends on two considerations: first, the role of the Constitutional Court; second, the effect of the Perppu on accountability. The Indonesian Constitution places characteristic checks and balances between the executive and bicameral legislature. In addition, the Constitution specifies roles for the Supreme Audit Board (Badan Permeriksa Keuangan) to ensure accountability of state finances, the Supreme Court as the highest court of the nation, and the Constitutional Court to review constitutionality of legislation and disputes over general election results. This capacity of the Constitutional Court – to review and rule on general election disputes – frames the corruption charges against Akil. Local elections are highly contested as a result of significant expenditure powers following devolution in 2001, and the Constitutional Court has been, hitherto, the venue for authoritative ruling – they are final and binding – in election disputes. Clearly, this scandal strikes at the heart of political trust and democratic development in the country. The urgency regarding the Constitutional Court lies in that it continues to adjudicate in election disputes, albeit with a significant loss in credibility. President Yudhoyono’s Perppu targets three areas for action: (a) criteria, (b) selection, and (c) oversight of the justices. Fundamentally, then, the Perppu represents a clear, unfailing commitment to political integrity at the highest levels of politics. It is an important signal. In this broader context, President Yudhoyono’s effort to enhance accountability is a step in the right direction. it is no wonder: the President consulted extensively with constitutional scholars, lawmakers, and members of the judiciary on this Perppu. Which likely answers the larger question: when are presidential decrees useful? Clearly, when they address the problem (increase government effectiveness) and improve accountability in the process. 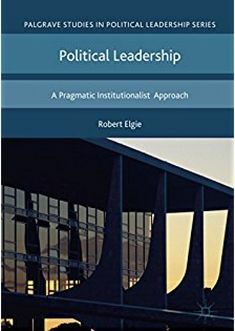 [i] See discussions in O’Donnell (1998), and Yap and Gibb (2013: 160), about horizontal accountability as well as its complement, vertical accountability, where public officials are held accountable through the electoral process, an active civil society, or a free press. [ii] Studies of accountability generally focus on executive accountability with its potential for abus related to the position of head of government and commander-in-chief. This entry was posted in Asia, Indonesia and tagged Accountability, Asia, Constitutional Court, Indonesia, Perppu, President Yudhoyono, Presidential decrees on October 20, 2013 by Fiona Yap. A new debate on the operation of political institutions under cohabitation is now taking place in Romania. The discussions concern the validity of a so-called cohabitation pact that has framed the relationship between the presidency and the government since December 2012, when the current centre-left coalition won the parliamentary election. The period of cohabitation in Romania started in May 2012, when the ruling coalition, which included the president’s party, lost a no-confidence vote. Subsequently, Victor Ponta (the new prime minister and leader of the social-democratic party) and Crin Antonescu (the leader of the national liberal party) formed a coalition government that excluded the president’s party. The change of government was followed by several months of ongoing conflict between state institutions, including a referendum to impeach the president. The period of cohabitation was extended in December 2012, when the incumbent government won a huge majority in the legislative election. After the re-formation of the government, an ‘Agreement on Institutional Collaboration between the President of Romania and the Prime Minister of the Government’ was signed. The agreement’s main purpose was to send a positive signal to international institutions regarding the Romanian decision-makers’ commitment to avoid further political deadlock. More details about this unusual document can be found here. Recently, however, President Băsescu accused PM Ponta of violating the cohabitation pact on foreign policy, and justice and the rule of law. First, the prime minister was criticised for taking a different position than the president on the recognition of Kosovo’s independence and on Bashar Assad’s political regime. Second, President Băsescu condemned the general prosecutor’s decision to release the prosecutor who had been in charge with the case against the deputy prime minister, who was accused with vote-rigging in the presidential impeachment referendum. According to Băsescu, the general prosecutor had acted at the order of the prime minister, who overstepped his constitutional responsibilities and interfered with the independence of justice. The president also criticised Ponta’s decision to allow the deputy prime minister to continue in office during the investigation and expressed concern for the next EU report monitoring the progress of law-enforcement in Romania. In line with the conflict-resolution mechanism laid down in the working agreement, the conditions for its continuance are currently analysed by two representatives of the presidency and the government. The prime minister is represented by the ministers of justice and foreign affairs. While the president and the prime minister have expressed their willingness to safeguard their institutional collaboration, their political allies have already denounced the pact. Strictly speaking, the pact has no constitutional or legal basis. As a result, there can be no legal sanctions for its violation. Moreover, given the commitment of both parts to respect their constitutional roles, denouncing the pact would be the equivalent of a decision to no longer respect the constitution. It is therefore likely that, despite their differences, the president and the prime minister will reiterate their commitment to avoid political deadlock for as long as the cohabitation period may last. The next presidential election is scheduled for November 2014. This entry was posted in Europe, Romania and tagged Cohabitation, President Băsescu, Prime Minister Ponta, Semi-presidential system on October 18, 2013 by Cristina Bucur.